What do you think of when you are trying to spruce up your breakfast menu? A protein-rich meal to replace sugar-coated cereals would be the best option. A frittata or a quiche sure sounds nice. But what is the difference between the two? Do you think you would enjoy one more than the other? 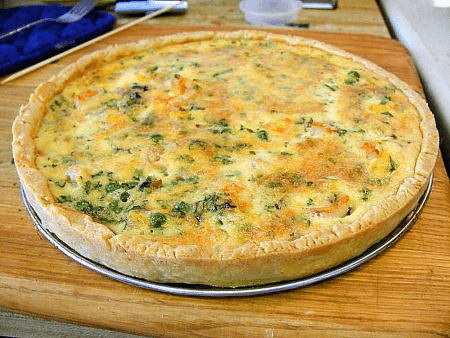 A quiche is a savory tart with an open crust and a filling of cheese, vegetables, and fish or meat held together with beaten eggs and cream. This French dish has been around since the 17th century although similar recipes have been known since the 14th and 15th centuries. It must bake in the oven for about 25-45 minutes. It can be served both hot and cold, for breakfast, or as the first course of another meal. 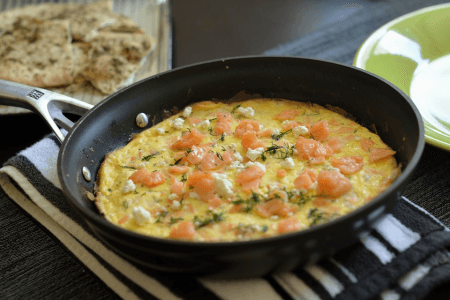 A frittata is an Italian omelet with a multitude of toppings. It has a base of beaten eggs with vegetables, dairy products, meat, or fish. These are cooked in an open frying pan and they take very little time to cook. The popularity of this dish has been growing beyond the Italian borders since the 1950s. It has become a preferred breakfast option as it is delicious, filling, and highly nutritious. So what is the difference between quiche and frittata? At a first glance, the difference is in the crust. A frittata is a quiche without a crust. Also, the quiche filling is custard made with beaten eggs and cream to which various toppings are added. By comparison, the frittata consists of only beaten eggs with toppings. Since it has a crust that must bake, the quiche needs to cook in the oven for 25-45 minutes. A frittata takes only a few minutes to cook in a frying pan. They are both breakfast meals, yet a quiche can be served at other times of the day. Also, since it is baked and not fried, it can be served cold as well. A quiche is a 17th-century French pastry, while a frittata is an Italian omelet made famous since the 1950s.